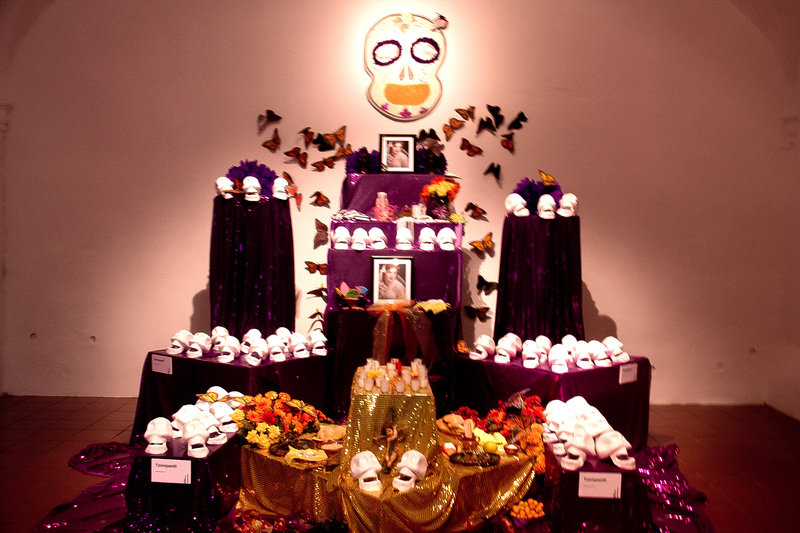 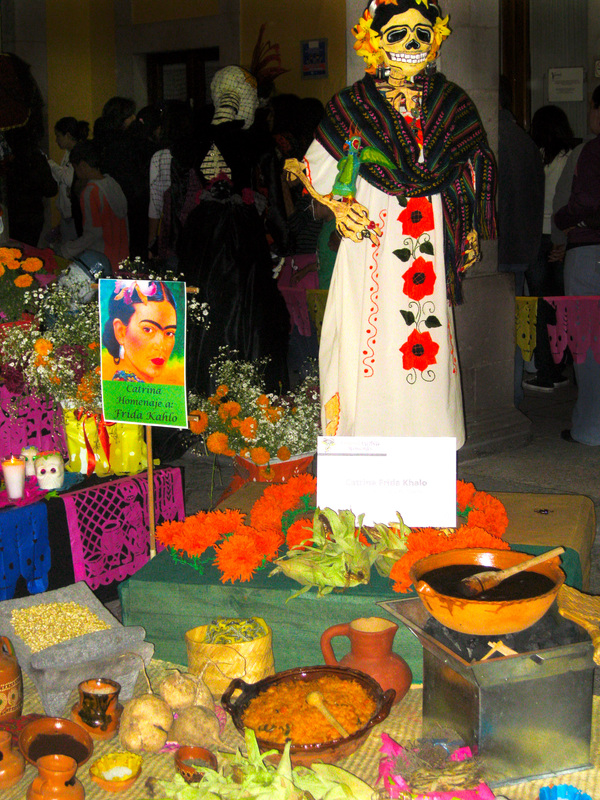 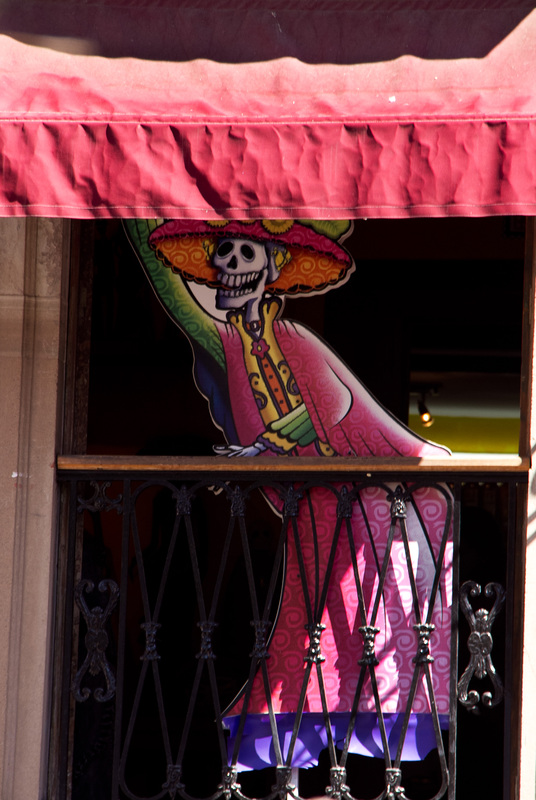 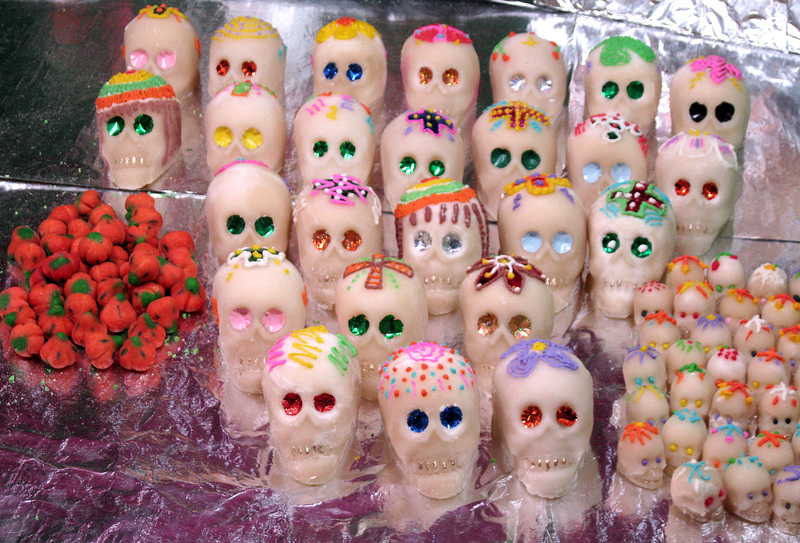 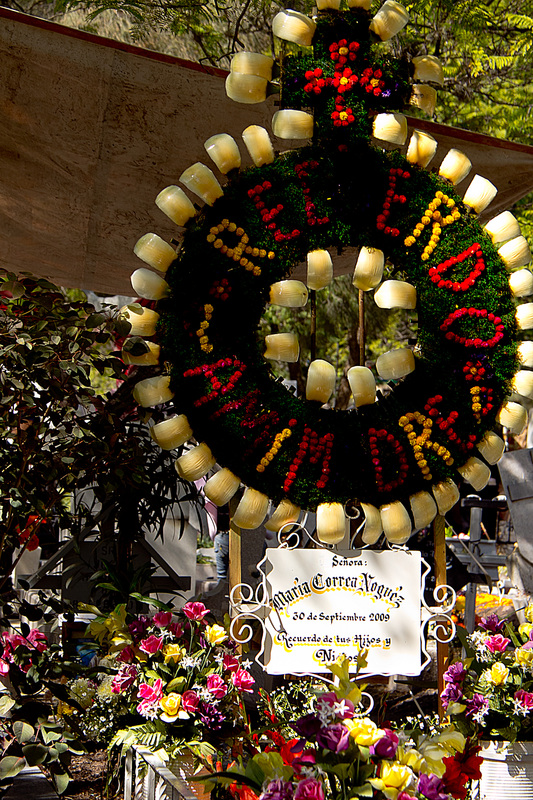 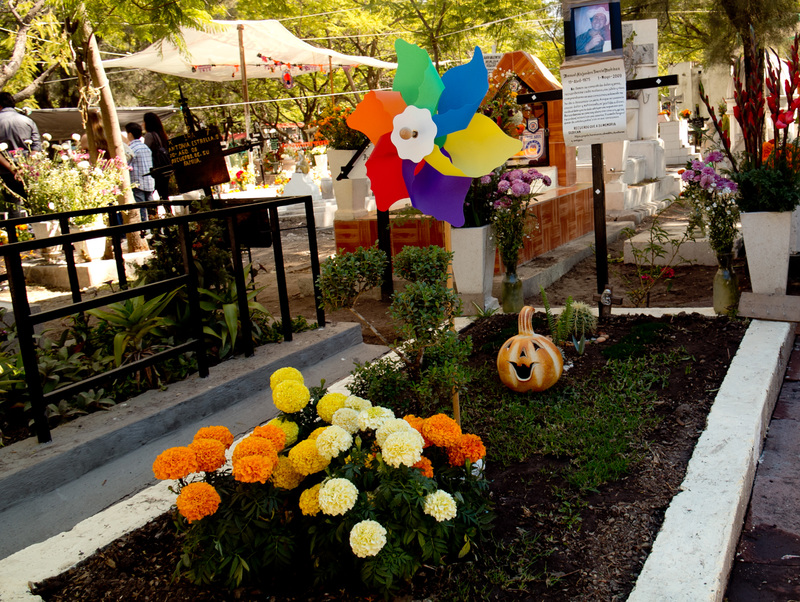 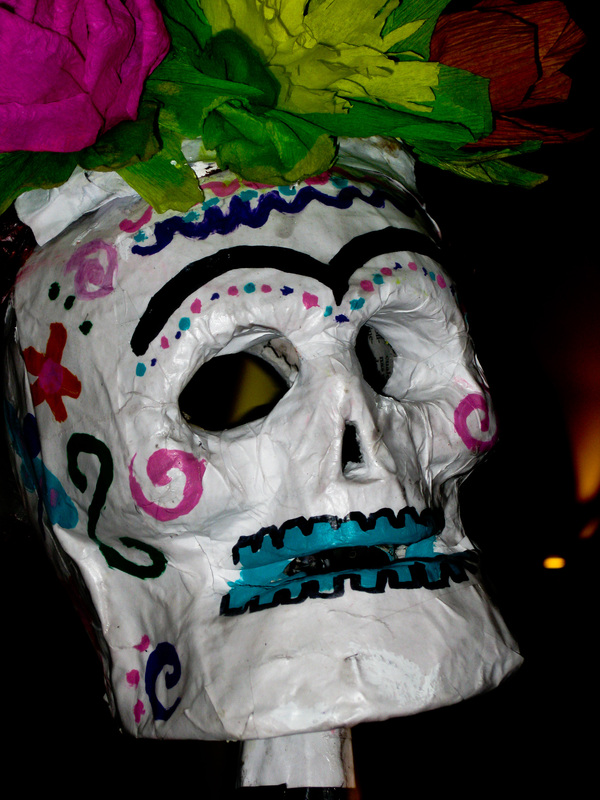 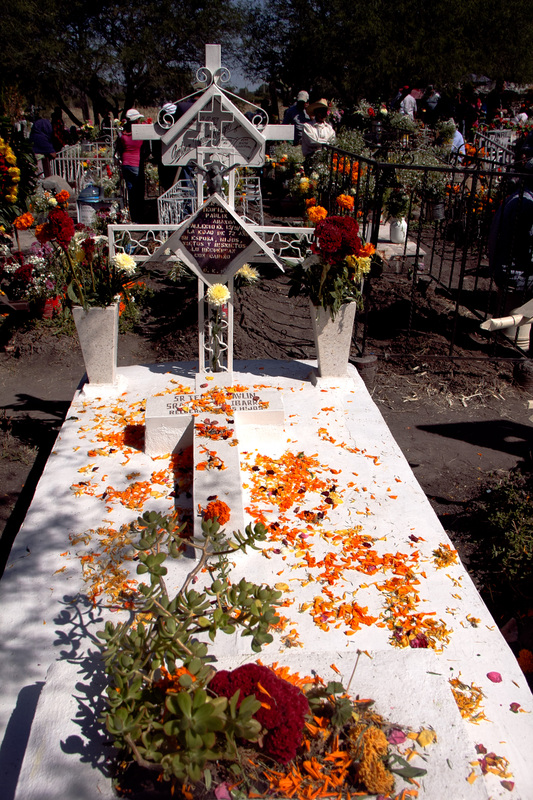 The Day of the Dead is celebrated throughout Mexico on November 2. 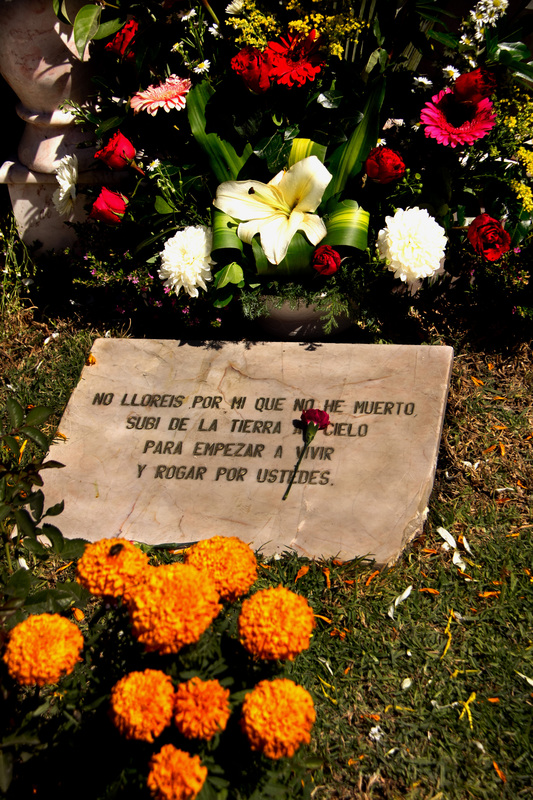 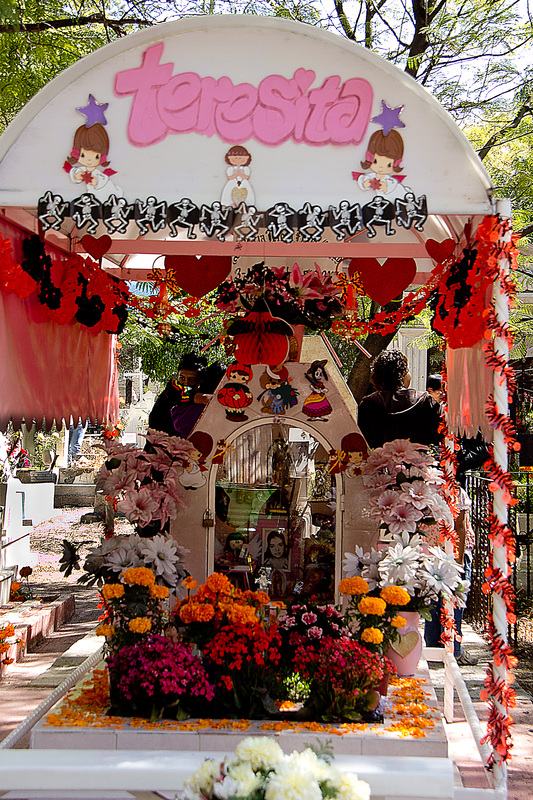 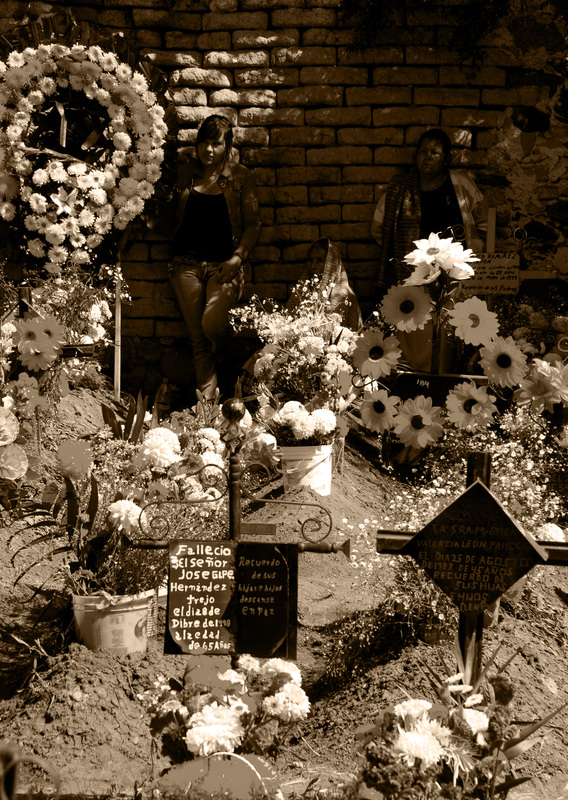 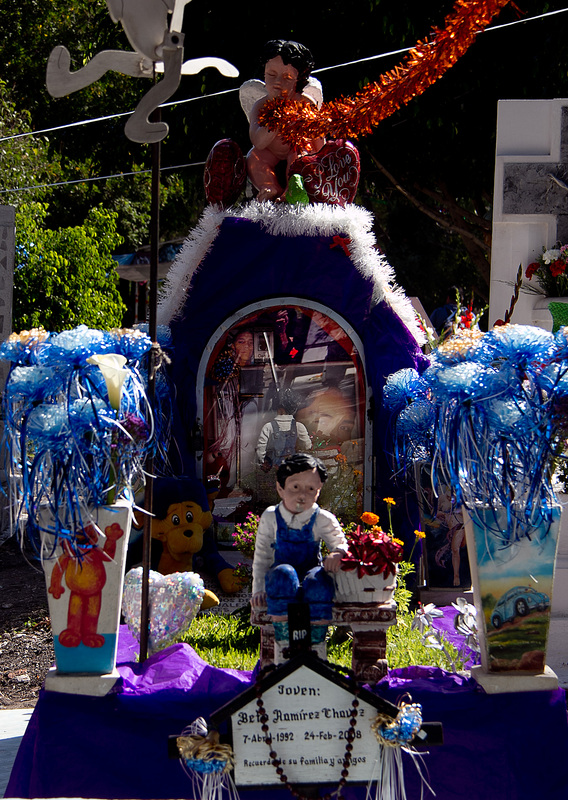 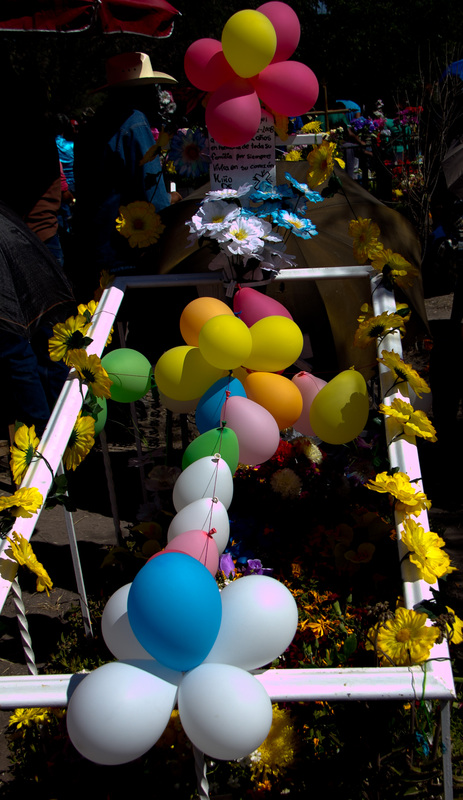 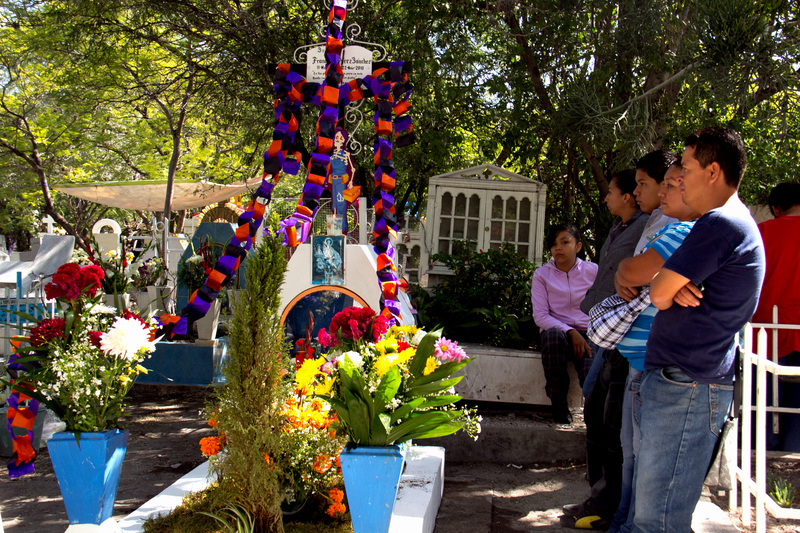 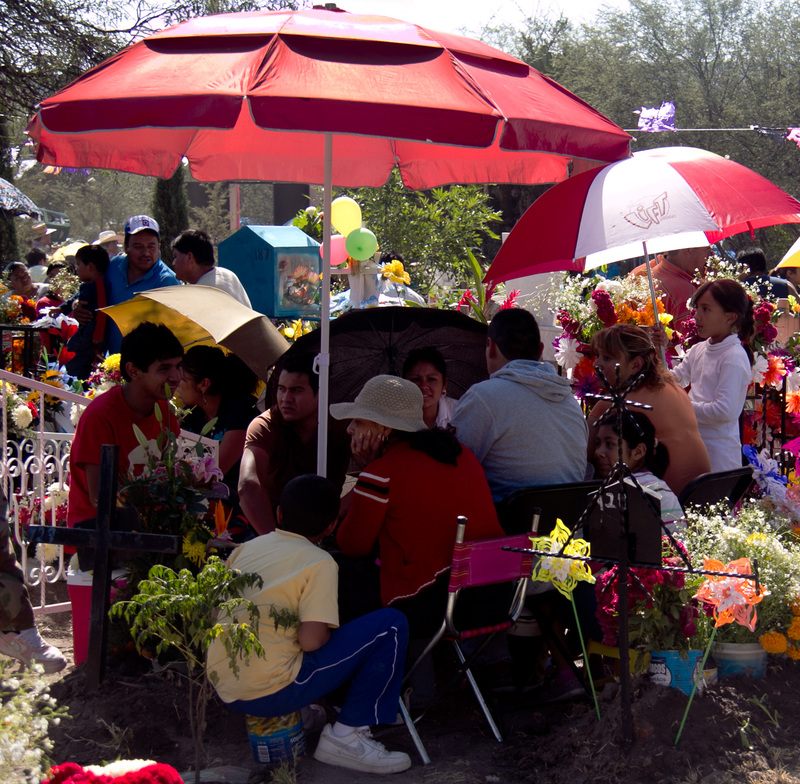 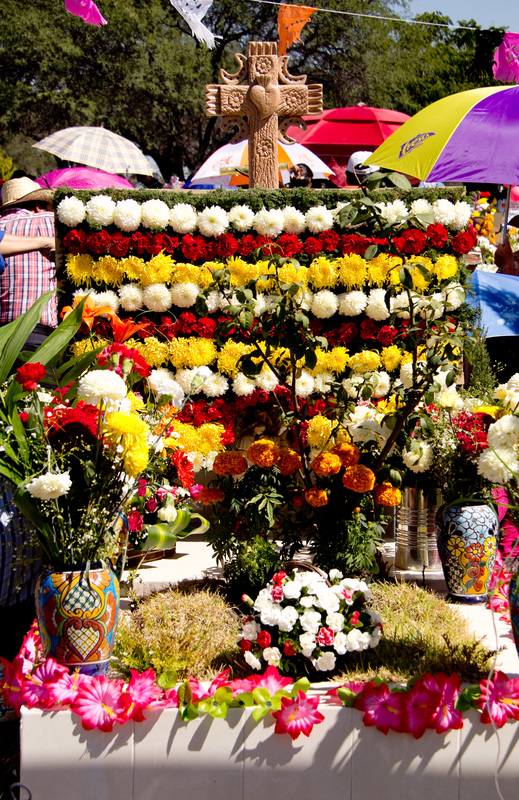 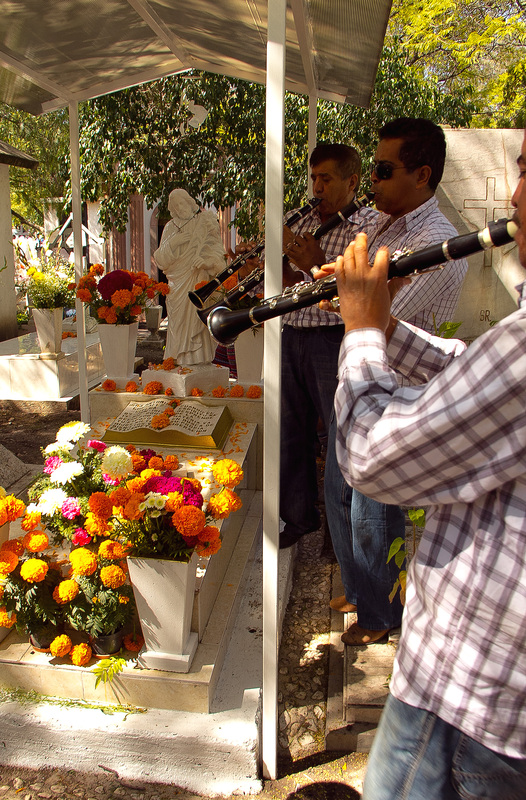 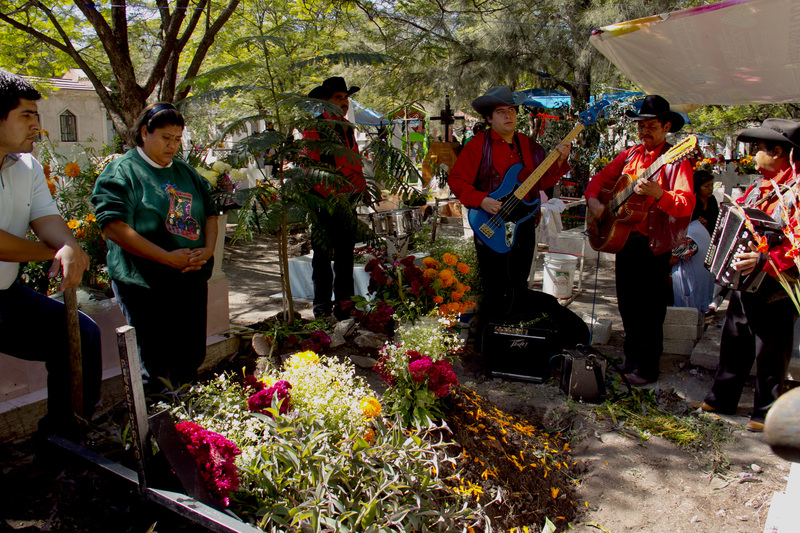 This year I was visiting mi novia in Queretaro where Catrinas rule and the cemeteries are places for family and community to gather and celebrate the return of the souls of loved ones who passed to the other side. 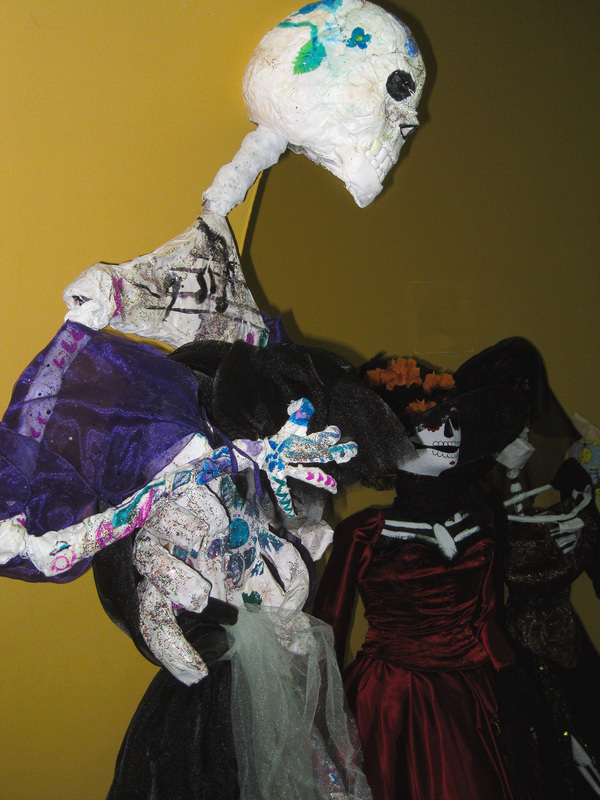 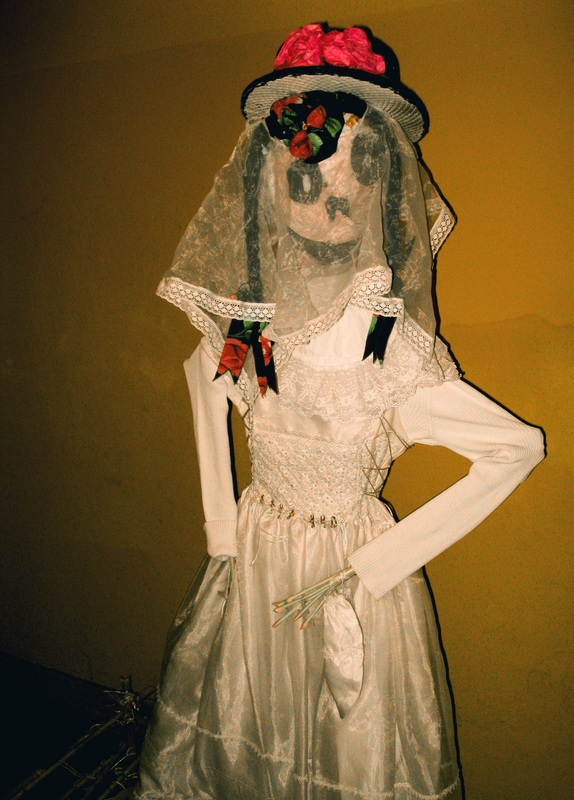 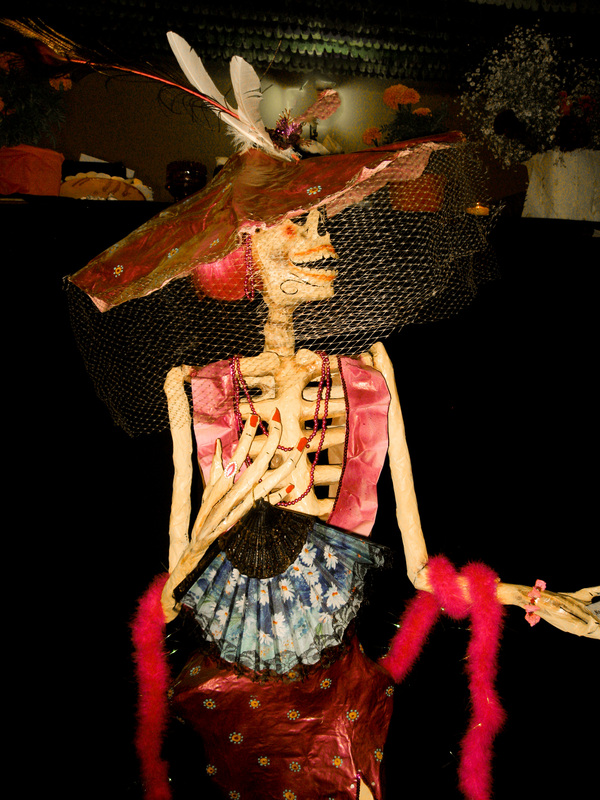 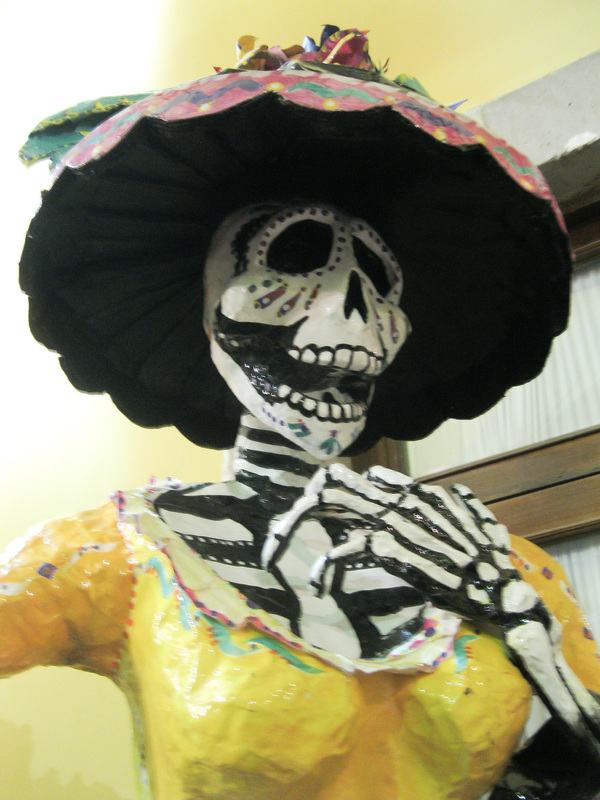 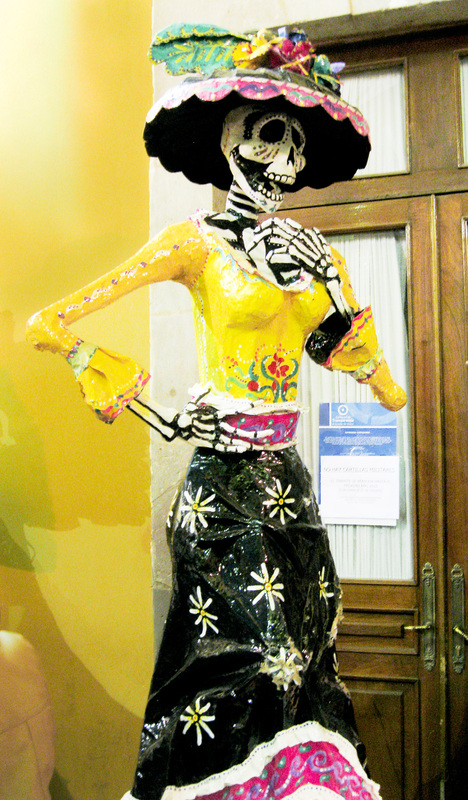 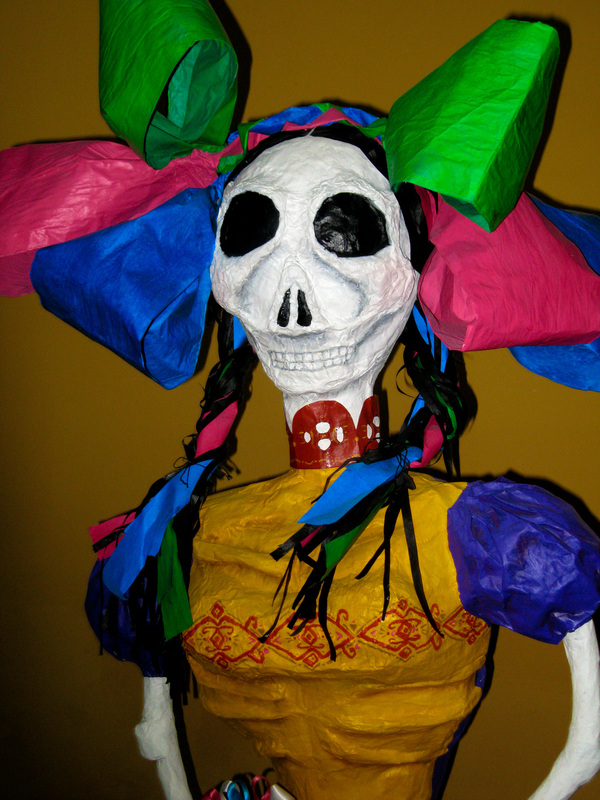 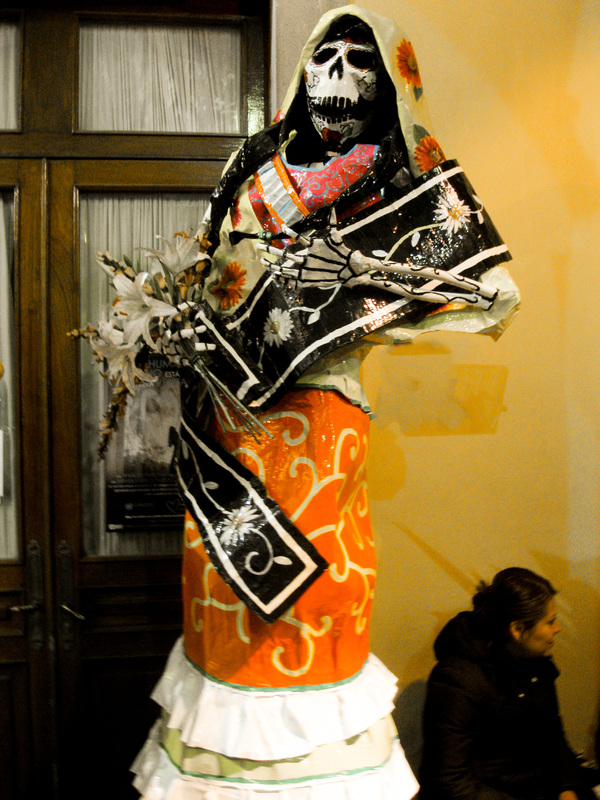 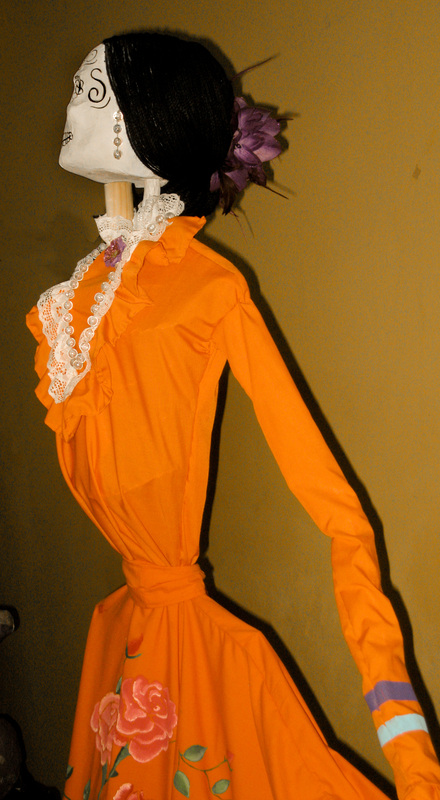 In Queretaro Catrinas, paper mache sculptures of women skeletons, each given a special name by the artist, abound. 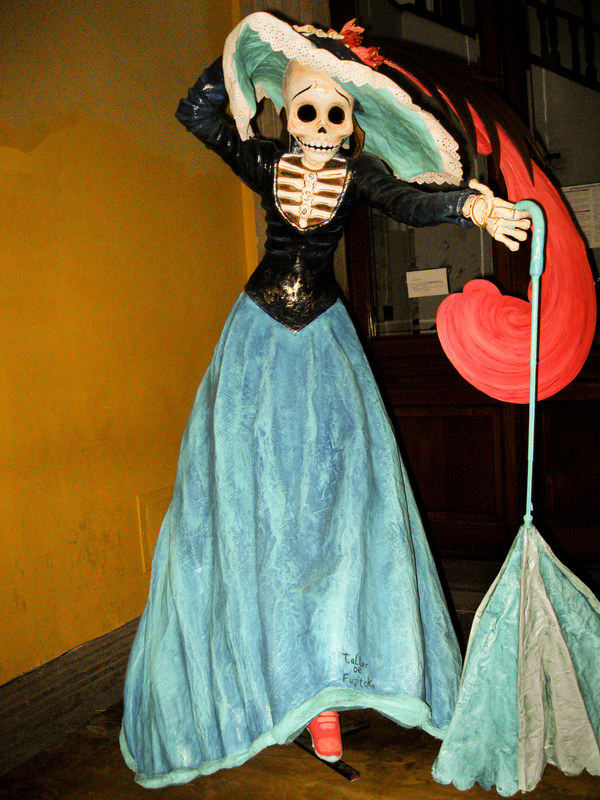 Here are a few that I saw. 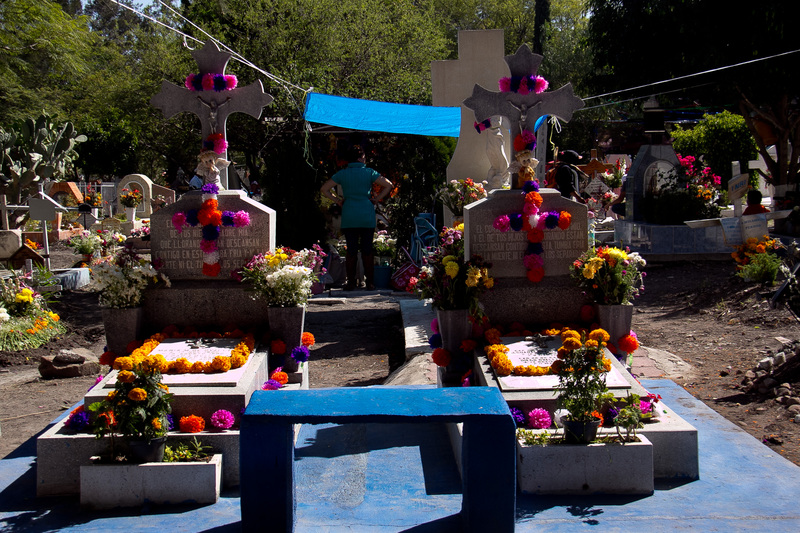 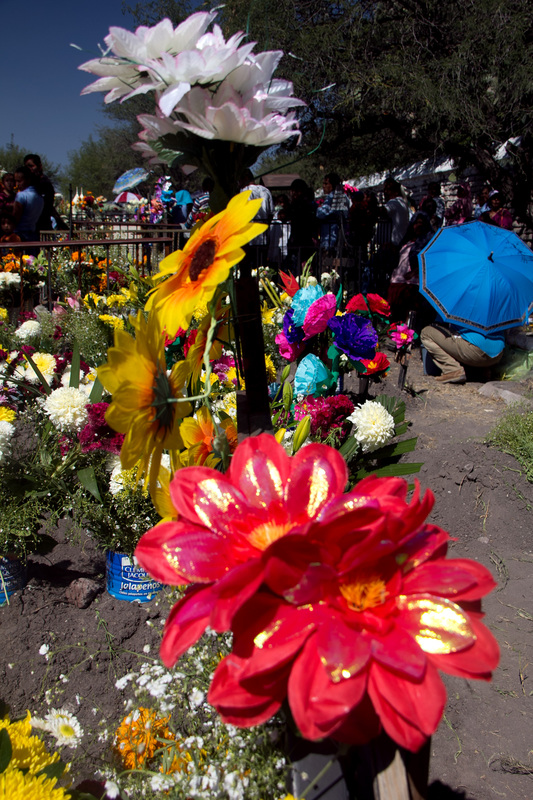 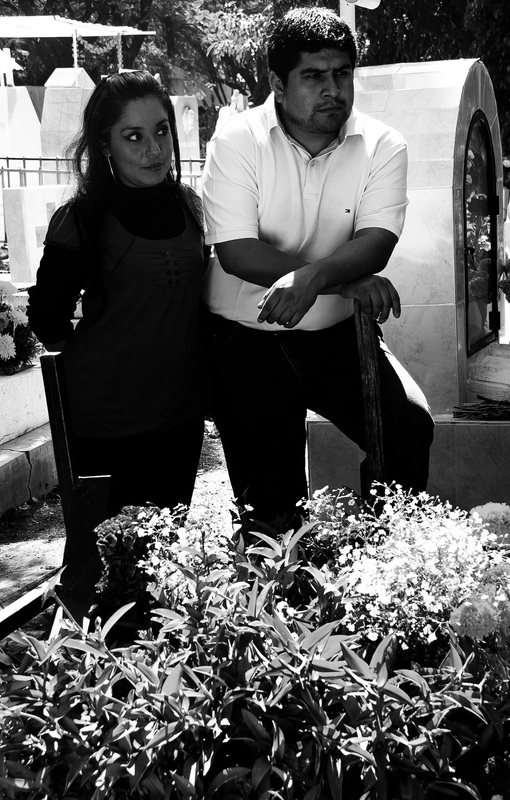 We visited the cemetery in Queretaro where family members decorated the graves of loved ones with flowers and artifacts of the deceased in remembrance. 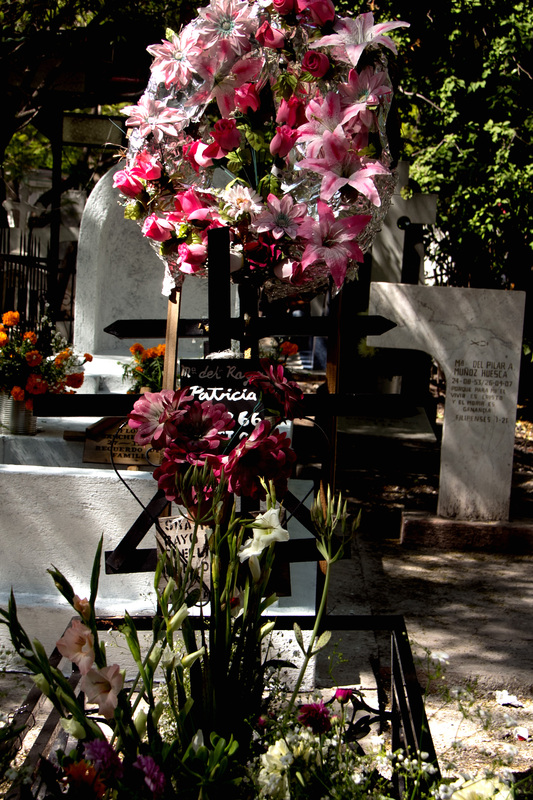 We also visited the cemetery at Amazala (pronounced Amascala) where the grave offrendas were made mostly of flowers. 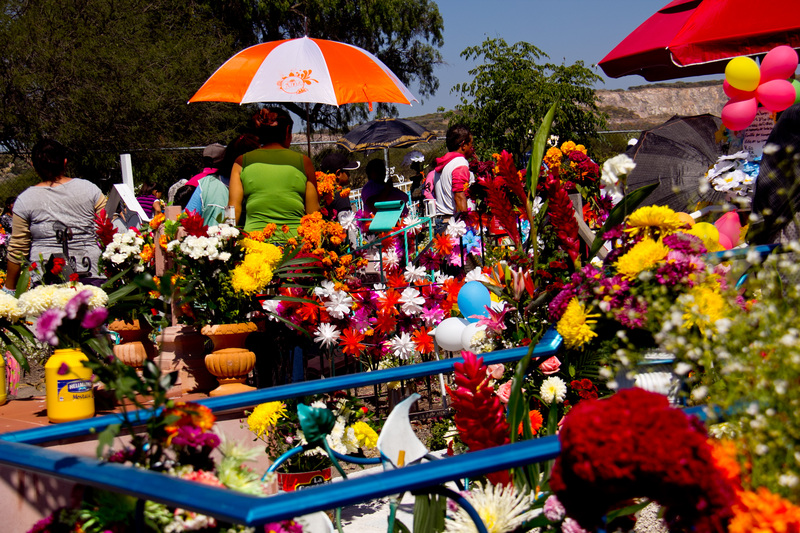 It was hot in the sunshine and colorful umbrellas were everywhere. 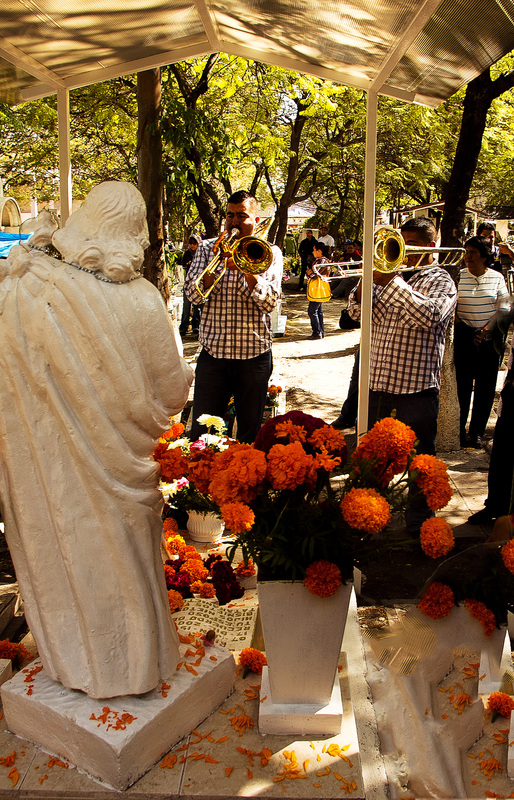 When we arrived there the priest was saying Mass and it seemed like the whole town was present.